HEUFT TeKnowledge is carrying on: everything at the Lexus Forum in Bremen will revolve around packaging free of foreign objects and the clear labelling of food on 12 and 13 December 2018. HEUFT and SIMACO will be showing there what they have to offer from a single source in order to achieve maximum food safety. The great success of the last HEUFT TeKnowledge workshop for drink producers in the very south of the Republic showed: there is great interest in genuine practical knowledge for a sustainable safety, quality and efficiency management. 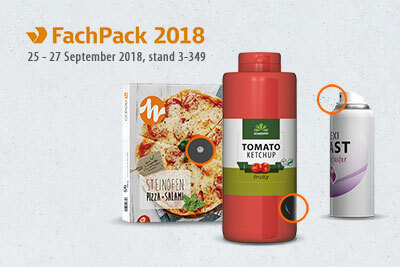 Therefore the next event of the series will soon take place in the far north of Germany: HEUFT, together with its subsidiary SIMACO GMBH, will be focusing on the safe marking of product and packaging for food in Bremen in the middle of December – and around the subject of foreign object detection. Both companies offer everything you need from a single source from inks and consumables to your own inkjet printers for a wide range of applications to inspection solutions for a reliable code check. Best before and expiry dates, part, batch and lot numbers as well as barcodes and 2D codes can be applied with the highest print quality reliably and sustainably and verified in-line immediately. The participants can even experience live at the workshop how reliable and precise this is: not only the SIMACO CodeCreator will be presented there in action but also the compact HEUFT ONE for a subsequent original character verification (OCV). The same applies to the new HEUFT eXaminer II XS for a high-precision foreign object detection for full food containers and the HEUFT eXaminer II XB top-down inspector which in addition to small pieces of metal and numerous other high density foreign objects also identifies, among other things, incompletely packaged products as well as defective packaging material and removes them reliably. It will be explained in detail at the HEUFT TeKnowledge workshop how to establish a qualified and validated foreign object management for packaging material of the most varied materials and formats with these unique X-ray systems. 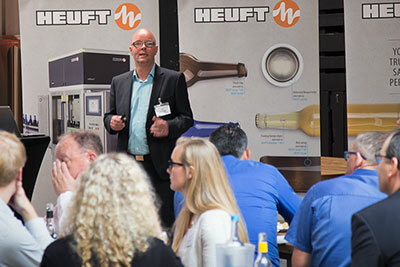 Presentation: "Foreign object detection systems and the conflicting priorities of certification and validation"
Presentation: "Inkjet applications for reliably marking product and packaging"
Presentation: "Code verification, marking and outer appearance examination"
A guided tour of the Beck GmbH & Co. KG brewery as well as dinner together is planned for the first day of the event and a joint finale with time for in-depth questions and discussions for the second. Don't hesitate to register free of charge for one of the two HEUFT TeKnowledge workshops in the Lexus Forum, Osterdeich 151 in 28205 Bremen – the number of places is limited: teknowledge@heuft.com. 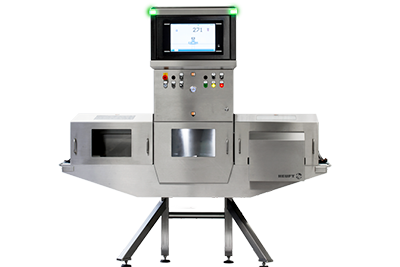 New X-ray pulses at FachPack!